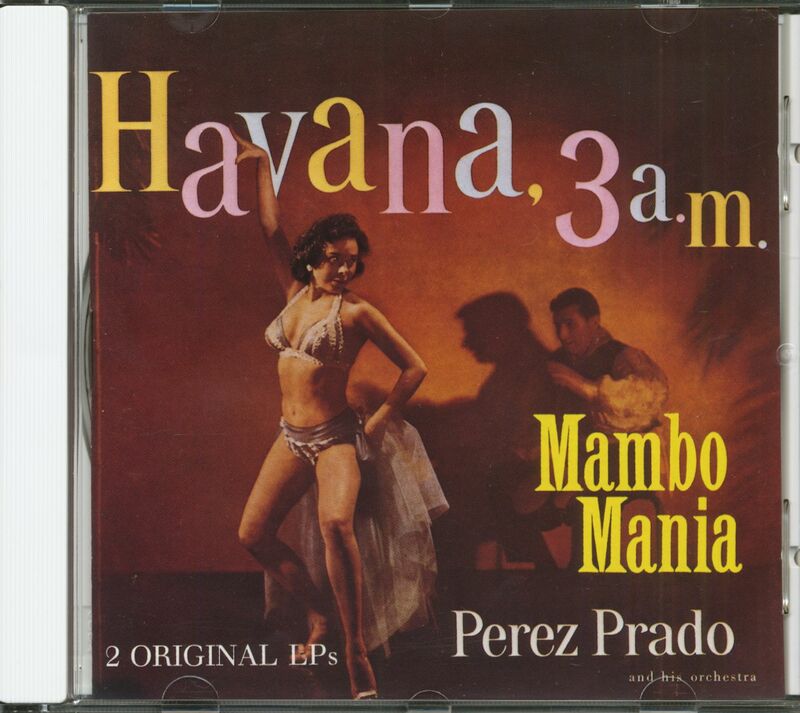 Perez Prado Mambo Mania - Havanna 3 A.M.
Perez Prado: Mambo Mania - Havanna 3 A.M.
1-CD with 32-page booklet, 24 tracks. Playing time approx. 76 mns. Ballin' The Jack, Tomcat Mambo, Marilyn Monroe Mambo, Mambo A La Billy May, Besame Mucho, Freeway Mambo, The Peanut Vendor, and Baia. Article properties: Perez Prado: Mambo Mania - Havanna 3 A.M. Album titlle: Mambo Mania - Havanna 3 A.M. 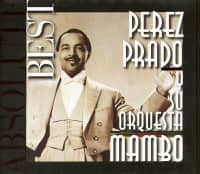 Customer evaluation for "Mambo Mania - Havanna 3 A.M."
Die CD ist interessant und ergänzt gut meine Perez Prado-Collection. Das beiliegende Booklet ist sehr informativ. 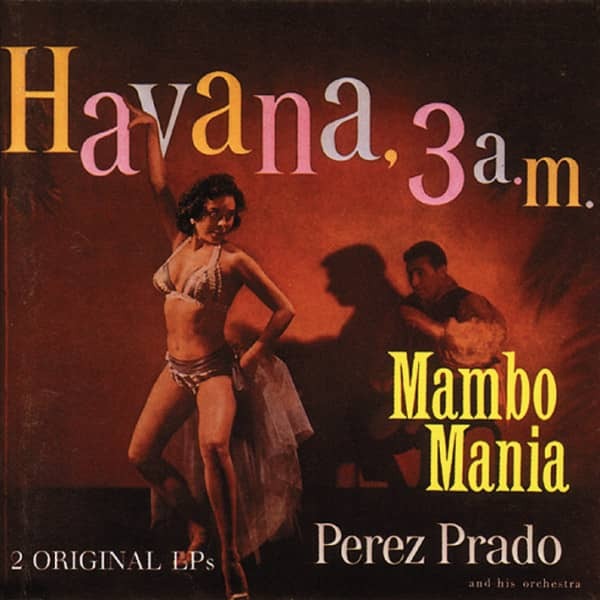 Press - Perez Prado Mambo Mania - Havanna 3 A.M.- dec 2016 issue of New York City Jazz Record Perez Prado BY MARILYN LESTER Although his fame was fleeting in mainstream America, Darnaso Perez Prado, aka "The Mambo King", was for more than four decades a popular and successful pianist, arranger and composer in the world of Latin music. During the mambo craze of the late '40s-early '50s he achieved a status as one of the most influential pop orchestra leaders of the time. 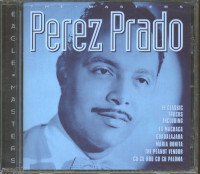 Prado was born one hundred years ago this month on Dec. 11th into a middle class family in Mantanzas, Cuba. He studied classical piano at an early age and first worked professionally as an organ player and pianist at local cinemas and clubs. In 1942 he moved to Havana where he began arranging and composing, working with some of the most famous Cuban bands of the day. 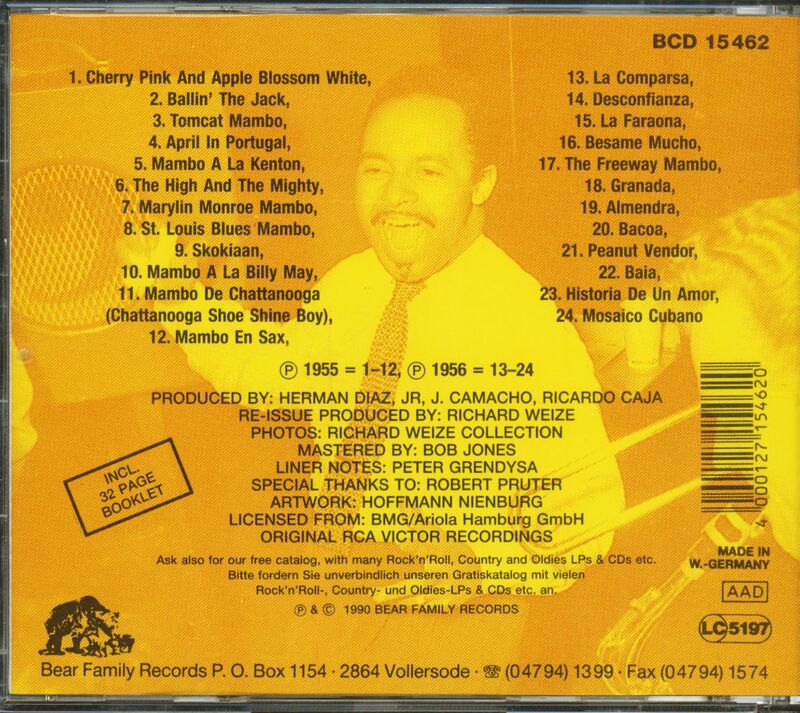 At this time, Prado began to develop his concept of the mambo, which he did not invent, but certainly furthered. In 1947 he was compelled to leave Cuba after being denounced by Fidel Castro for debasing Cuban music. 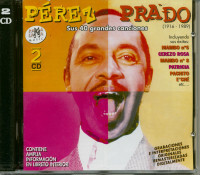 Prado made a tour of South America, finally settling in Mexico City where, by 1948, he became a regular and popular performer at Club 1-2-3, earning the nickname "Glenn Miller of Mexico" (during his first U.S. tour in the early '50s he was also called the "Stan Kenton of Mexico"). 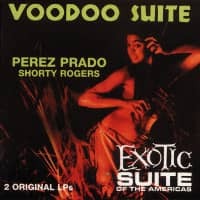 Savvy listeners in New York and Southern California first heard Prado's mambo music on Latin radio stations and rejoiced when the tunes crossed over to mainstream pop broadcasts. Mambo Mania - Havanna 3 A.M.